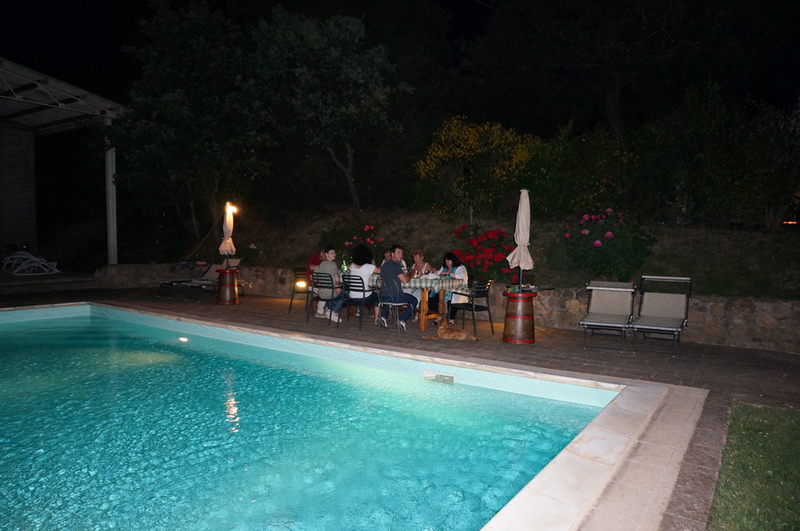 In an aloof area, with the enchanting background of Pienza and Montichiello, there is the swimming pool with umbrellas and tables. This is surrounded by a garden decorated with roses of various colors. The dimensions of swimming pool are of 10x5 mt. and cc. 1.50 mt of deepness.